So my 1997 Blazer 4door LT had the issue of the button not working to release the glass and open the liftgate. 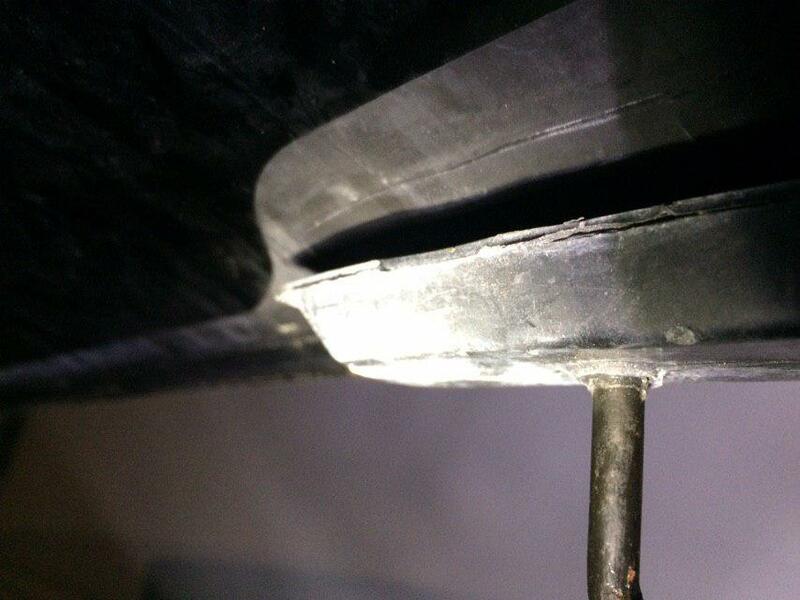 You probably know the issue in question: A broken piece of GM plastic attached to the acctuator. Well, after some finagling and such, I managed to seperate the glass from the gate by reaching into the inner panel, and tried cracking into the door to fix it with a ziptie, as recommened via google. Thing is... now I've an issue where the glass won't Shut and STAY shut. And I cant find this kind of issue anywhere. The glass will close, but I can easily pull it back open, and the latch that looks like it's meant to hold the glass in place stays as though it's in the closed and locked position. I snipped the Zip tie, thinking maybe I just put it too tight and then tested again sans zip tie, but still same issue. Anyone had this issue before of the glass not latching closed and staying closed? Do you mean like, adjusting the latch that's supposed to catch and hold the window? I can see two bolts that hold it on on either side. Can I in theory loosen those and migrate it then? Or are you talking of something else? I'm trying to remember what I did with mine. I had to adjust something back there when I got it, but that's been a long time ago. I think my issue was that the dome light didn't turn off. The glass didn't press the plunger down enough to turn it off. 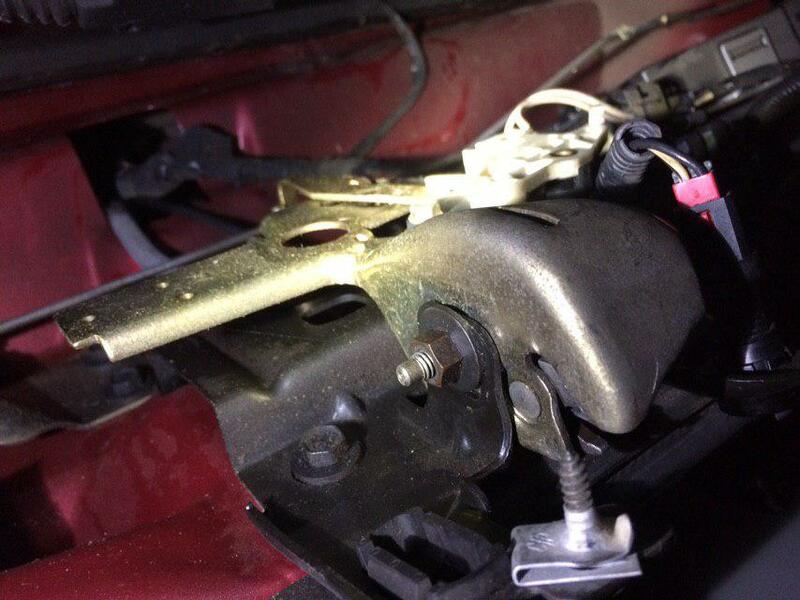 You might try slightly moving the latch, see if that helps it to catch better. Maybe something is bent back there? I went ahead and took some pictures. 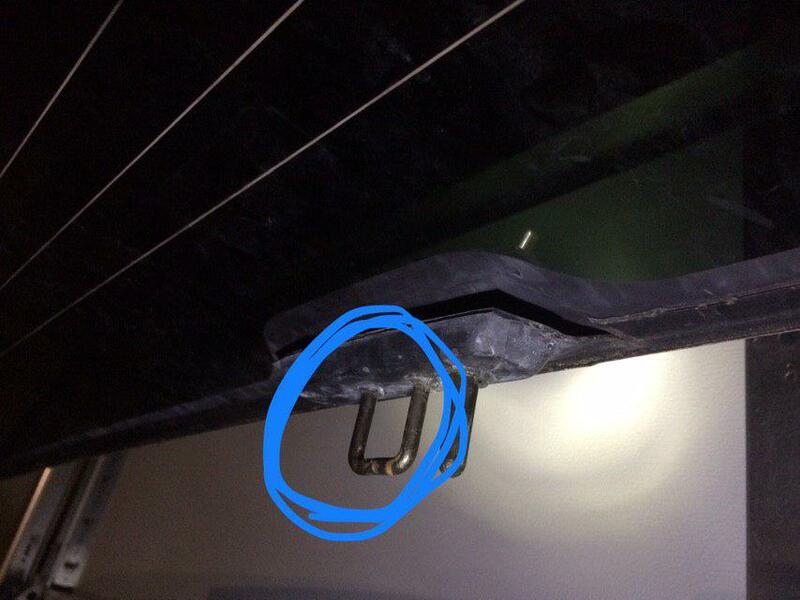 My issue is, the latch here (Circled in Blue) Will close when the part on the window (Also circled in blue) strikes it, but it does not hold it. From what I can tell, the part of the latch which is supposed to move and hold the metal piece in place to prevent it from opening Either A: Doesn't close enough or B: Is faulty, and will not keep the metal bit from moving out of the cut out portion where it's supposed to sit. One thing to note is I do see that [url=https://i.imgur.com/GhUURBW.jpg]The part on the window seems to be not "attached", and is able to flex away from the window a bit. I tried at first taping it down with duct tape as a test to see if it was supposed to be fully attached, but then it wouldn't hit the latch portion at all and would sit too high.I then tried stuffing some cardboard to keep it away from the window, but this did not help either. Is it supposed to flex away like this? Now, I do see A set of black metal bolts that hold the latch to the door, as well as one one side a nut that seems to hold the latch portion itself in place to the mount. The nut seems like it's adjustable, but I dunno bout the black screws? I'm at a loss. I get how it's supposed to work, I just don't get why it isn't. One thing to note is I do see that The part on the window seems to be not "attached", and is able to flex away from the window a bit. I tried at first taping it down with duct tape as a test to see if it was supposed to be fully attached, but then it wouldn't hit the latch portion at all and would sit too high.I then tried stuffing some cardboard to keep it away from the window, but this did not help either. Is it supposed to flex away like this? It should be attached. I would gorilla glue that back, and then adjust the latch if needed. Also, use a lubricant on the latch like WD-40. How do I adjust the latch? 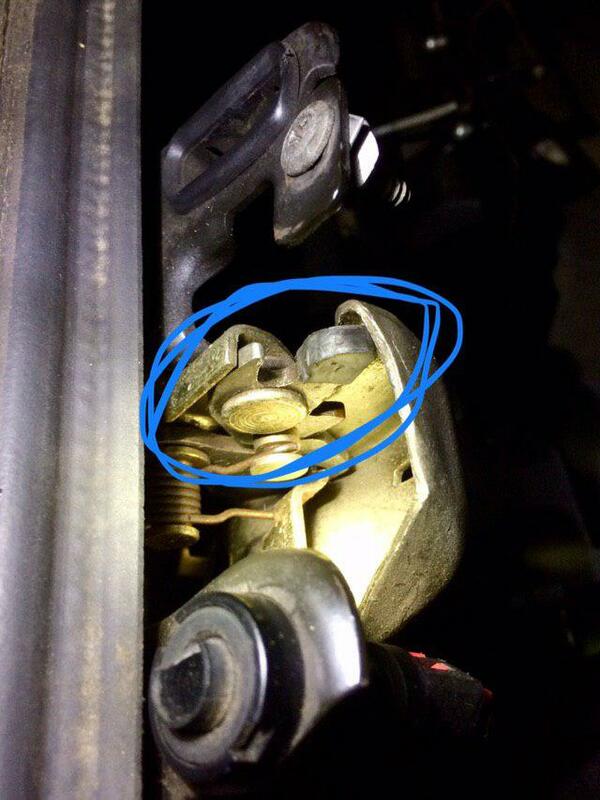 Via loosening the nut of the actual moving part itself, or by loosening the bracket itself and moving it? Just went outside and examined mine. Did as suggested. Required Adjusting by loosening the 10mm nut on the side and moving the latch closer to the door itself. Now it latches and stays closed. Thanks guys! Nice! Appreciate you posting the fix! I bet this will help someone in the future with the same problem!